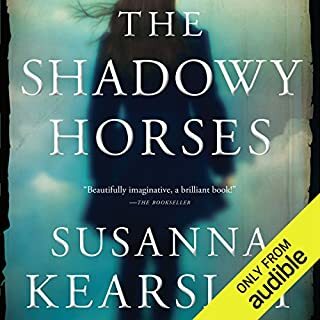 Beloved New York Times best-selling author Susanna Kearsley delivers a riveting novel that deftly intertwines the tales of two women, divided by centuries and forever changed by a clash of love and fate. For nearly 300 years, the cryptic journal of Mary Dundas has kept its secrets. Now, amateur codebreaker Sara Thomas travels to Paris to crack the cipher. As Mary's gripping tale of rebellion and betrayal is revealed to her, Sara faces events in her own life that require letting go of everything she thought she knew - about herself, about loyalty, and especially about love. Though divided by centuries, these two women are united in a quest to discover the limits of trust and the unlikely coincidences of fate. 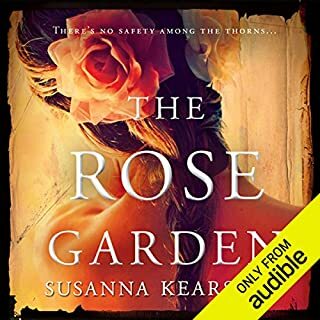 ©2015 Susanna Kearsley (P)2015 Audible Inc.
Not too much, too little and lives in my heart, as the story became real to the author, both of the real life events told, and the imaginings in the authors mind as her narrator explains at the end. The narrator was incredible. Not written from one perspective, she manages to tell the tale and bring you in on more than one level. Not as a young woman, but as a watcher and teller of tales. A definite nod to the lead character that shares stories. The heroine in our time, and I'm not giving anything away, is on the Autism Spectrum with Asperger's. I don't know how she got it so correct, but my son with moderate autism listened to this story, in part with me, and said, "that's what I do! That's how I feel!" It was not only a good explanation for me, but a breakthrough for him, he is thirteen, and now he wishes to learn to speak French and understand history. Brilliant. That the author took a chance on one of her main characters having Asperger's and her deep empathy, with an impartiality that says she understands it, and that her publisher put this lovely story for publication, says remarkable things about all. 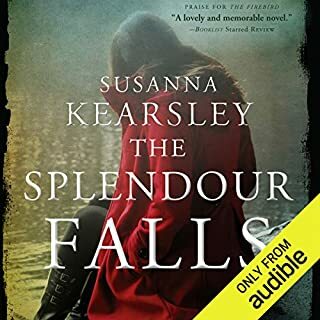 The main character in our timeline, is just so well written, so explanatory, so dead on without being a caricature, makes me want to know more about Susanna Kearsley's real life and how she managed this. I was blown away. 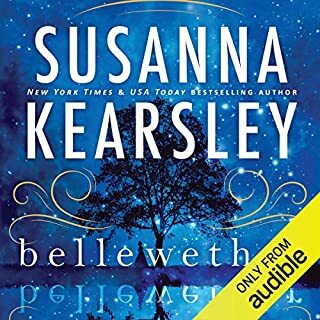 I am enchanted by Susanna Kearsley's books and have never been disappointed. I cannot recommend this book more highly. As kindly as possible, I would like to suggest the listener to turn the low and the treble off. The reason being Katherine, the narrator, in all respect for her art and hard work, reflects the chance she may have a full time tour guide position when not recording audiobooks. It would be such a benefit to narrate in her normal voice for the main character and use very gentle accents for those characters not British. Perhaps she is trying to depict the main character as a high-strung person who also happens to have a touch of Asperger's Syndrome, as described in the book. Respectfully, the constant tension and effort in speaking, as if accustomed to speaking in a higher-than-normal pitch to be heard over a noisy crowd, makes listening to her a great annoyance and I will refrain from purchasing another book with her narration. It pains me to speak so, but it truly bothers me enough to have to write this in a review in an effort to help further decision-making. My apologies for any offense, which will probably occur; my advise is well-meant. I'm on a Scottish tangent right now... I read "Outlander" which was written beautifully and I enjoyed the history... but it was way too heavy on the romance for me. Then came "Winter Sea" by Kearsley, it was perfect and I loved the history in it. 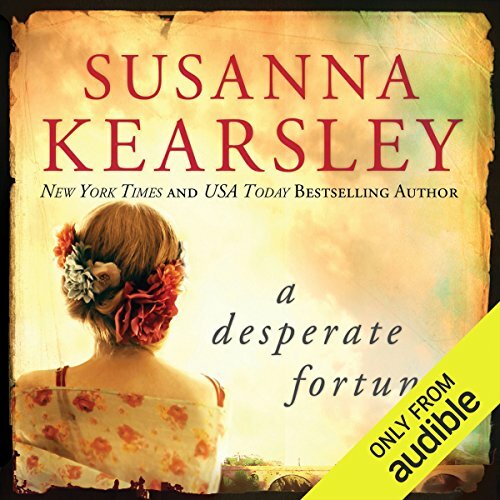 I snatched up "Desperate Fortune" expecting more of the same. Honestly, I think the story was well written, the parallel lives of two women are woven together with one in the present decoding the journal of the one in the past... both experiencing similar situations. I loved the accurate historical fiction of the past part of it, but didn't like being snatched away from my favored past story and back into the present. My complaint is with the narration. Katherine Kellgren is perfect in "The Royal Spyness" series where I envision the characters fitting the voices she uses. In this book I found myself flat out angry with her for ruining the story with prissy, forced and overdone voices. True the many characters, languages and accents in this book had to be challenging and she did settle down towards the end... but this is a book I would prefer to read rather than listen to again. So glad to have her out of my ear and wishing it was Davina Porter instead. This book doesn't leave you dangling at a precipice, although it is clear there will be another journal to decode with the rest of the story of both women. It is a romance, but like "Winter Sea" it is light... definately a "chick lit" type of book. What made the experience of listening to A Desperate Fortune the most enjoyable? 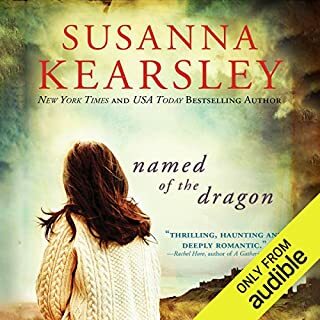 I love Susanna Kearsley's work - but this title has been ruined by a very jarring narrator. I could not settle down and enjoy - had to shut it off. So disappointed. I love this author's attention to detail and the way she surprises her readers with overlapping cameo appearances of characters from past stories. I fell in love with the characters from The Winter Sea. I followed them into Firebird. Now I got surprised by a guest appearance in this book from some of the characters from Firebird. These books are not part of a series, to my knowledge, but they read as if they are. In this way, the author shares a nugget of a mystery with her adoring fans--all of us who come to love her characters as she did. The research undertaken by this writer to recreate an accurate picture of the characters and their time period is amazing. The author reads widely and visits locations to truly know what she is talking about. Her modern day characters in her stories mirror her own steps to unlock and tell the stories of the past. I am in awe and anxiously await her next book. As for the narrator of this story, I must say she is quite talented. Not only does she skillfully transfer between male and female voices, but she does so in various languages and dialects. Her inflections are spot on to let you feel the emotions of the lines. It was an added treat to already be acquainted with her from a previous book, Firebird. A complete waste of valuable book listening time. The narration was horrible - melodramatic and almost comical attempts at dialogue and accent. I love historical fiction, but this was nothing more than a "romance" novel with no real context and setting of the historical times nor for that matter any real plot. Nor was the characterization of someone with Asperger's believable. I have read this author before but this was a real disappointment. The only reason I did not the story one star was that the writing was lyrical at times. Loved the story. Am very partial to the Jacobite risings. Love how she wove characters in from Firebird. Bravo! If you like Diana Gabaldon; Kate Morton; Jojo Moyes you will enjoy this. This book is definitely worth the listen! What did you love best about A Desperate Fortune? Firstly, the narrator was the best I have heard - and I have quite a few favourites. Katherine's voice made me want to 'climb into the story' and reach to hug the wee French boy who had the most gorgeous voice, distinctive from all the others. Then the story - it was funny in quite a few places, and endearing, and passionate. In places, when I was tired, I had to rewind to listen again to some parts that lost my interest, but it was always worth the 2nd listen - the story was reasonably complex, but very much worth the effort. What other book might you compare A Desperate Fortune to and why? I can't think of another book quite like it, but for the narrative's believability & skill, I would compare it to Uncle Tom's Cabin, (can't remember that narrator, but he was excellent). Impossible, but stretching out the enjoyment over numerous days was wonderful. I would highly recommend this narrator, and the author. I have purchased 'The Firebird' (same author & narrator) and look forward to listening that one too. Fantastic!!! I don't give 5 stars lightly. 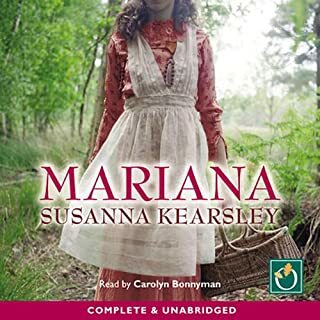 With one exception, I've loved all Susanna Kearsley's books. This is one of the great ones. Katherine Kellgren is the narrator of another of my favorite series and, at first, it was hard for me to put those books out of my mind as I heard Kellgren's voices here (which she differentiates VERY well.) But she does another stellar job with this book. The story slows down just a bit in the middle but comes back strongly. I highly recommend this book and congratulate the author on another winner! I am a huge fan of historical fiction and particular love the time period written in this story. I don't know exactly what the issue was; but, I had a hard time getting into this book.